Celebrating the past, present and future of Britain's great motoring icon, this MagBook contains captivating images, in-depth features and under the bonnet examinations from across the Aston's stunning and eclectic range. 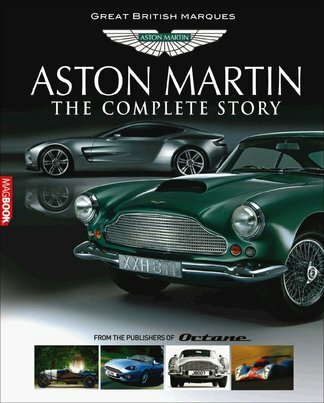 Perfect for all classic car enthusiasts and Aston collectors, this publication is your authoritative guide to the Aston Martin. Showcasing the majestic Aston Bond cars, presenting an exhilarating Aston Martin Nimrod track test special, exciting Aston vs Ferrari drivers comparison and an exclusive double interview with the 1959 Le Mans winning drivers Carroll Shelby and Roy Salvadori, as well as expert written drivers reviews and stunning images. This publication is the essential Aston Martin guide that will be savoured by all classic car enthusiasts and proud Aston owners. Be the first person to tell us what you think about Aston Martin: The Complete Story and you'll save $5 on your next purchase!